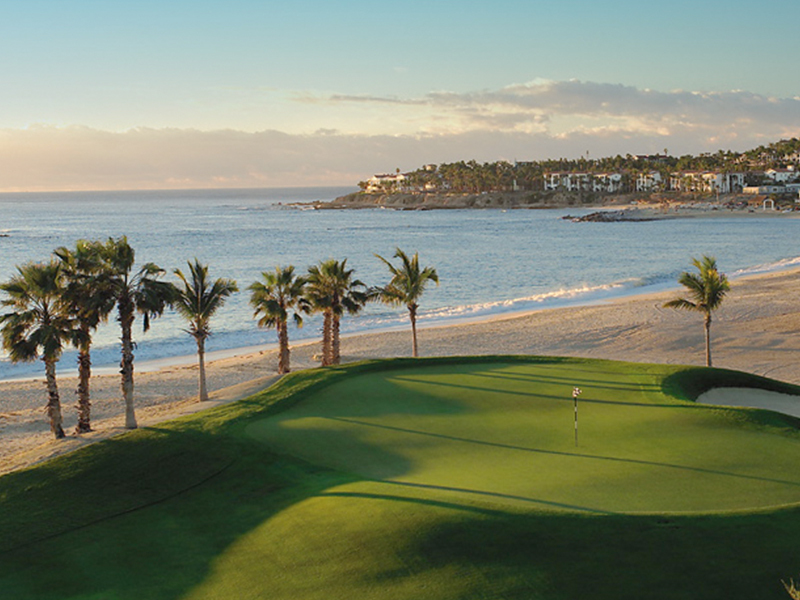 When people choose to take a golfing trip, Los Cabos may not be what first comes to mind but since the 1990’s Cabo has been experiencing a boom in the number of superb golf courses thanks to Jack Nicklaus. In the early 1990’s Nicklaus opened three prime golf courses, causing many other top golf clubs to quickly follow suit. 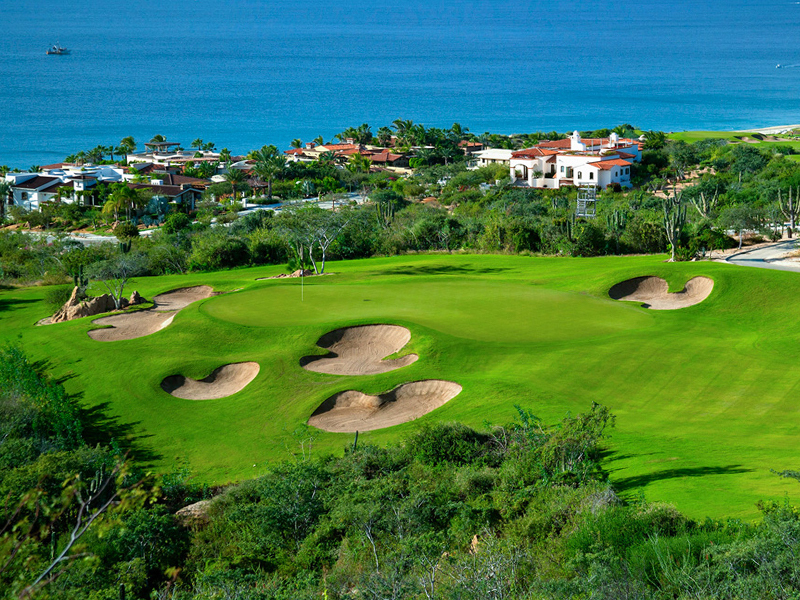 Now three of the top golf courses in the world are located in Los Cabo with many other golf courses keeping pace. Whether you want scenery, to challenge yourself, or maybe are just starting out, there’s a course for every golfer in Los Cabos. 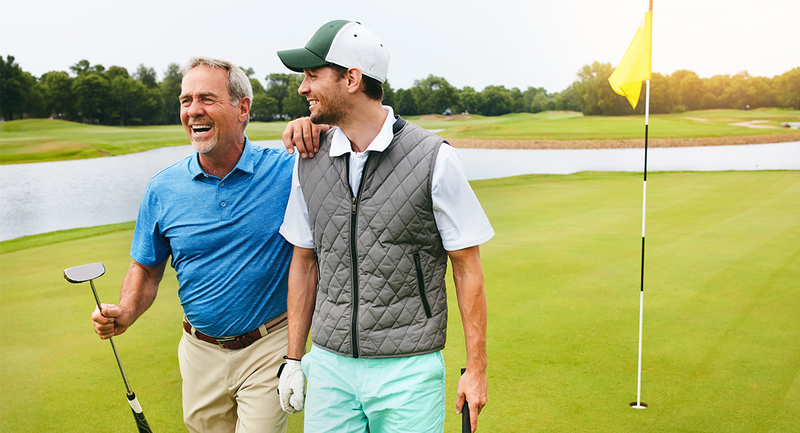 ​While throughout the years, there have been many legendary names attached to gofl courses, none have gained the same amount of recognition as Jack Nicklaus. 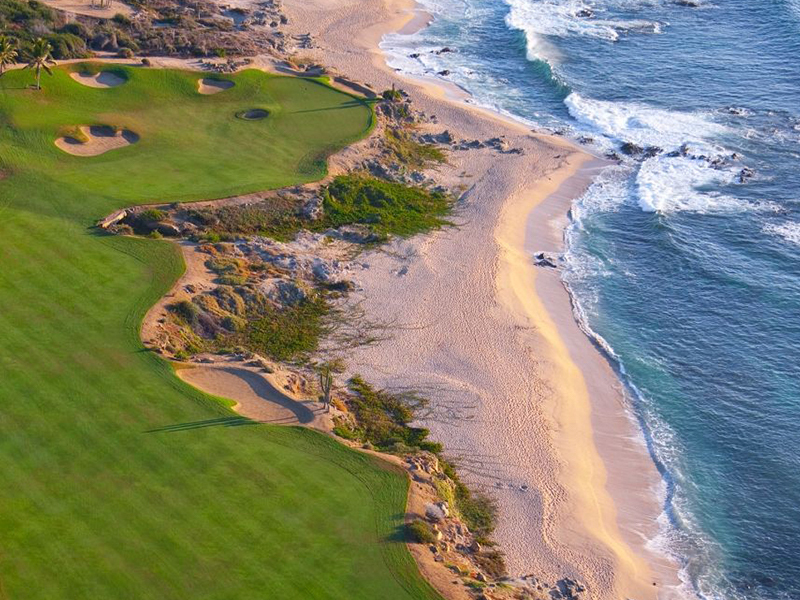 Overlooking the Sea of Cortes on the Cabo coastline, many say that this is Nicklaus’ masterpiece. On several occasions this course has been named one of the top 100 courses in the world and it’s easy to see why. The course plays long at 7075 yards, complete with sweeping views of the desert, mountains, and sea. Throughout the course, you’ll experience a variety of changes in elevation and rolling greens providing a challenge to low and high handicappers alike. Nicklaus himself has said that is “the best golf property I’ve ever seen.” With a recommendation like that, how could you go wrong here? ​The second top ranked golf course in Cabo is also designed by the legendary Jack Nicklaus and is the second of three courses in the area to be rated as one of the top 100 courses in the world. Here you can choose from 3 different 9 hole courses, the Arroyo Course, the Mountain Course, and the Ocean Course. As you may have gathered from the name the Ocean Course offers breathtaking views of the Sea of Cortez and is the most stunning of the three courses. In addition, there are five sets of tee boxes at the courses, catering to the needs of any handicap. ​Davis Love III lends his talent in creating another world-class course. Currently rated as #38 in the world and the #1 new course internationally in 2010, this course never fails to impress. 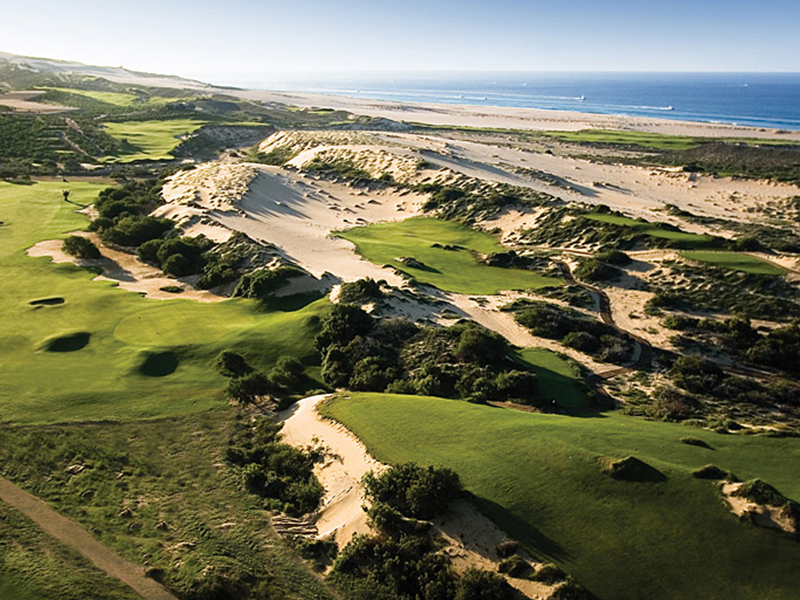 The Dunes Course is a 7,300 yard, championship level course with spectacular views of the Pacific Ocean. The course has been praised for its link-style layout and includes a top of the line 14-acre practice and development area. Think it can’t get better than that? The club also offers professional caddy service, a resort style clubhouse, and complimentary gourmet courseside comfort stations. ​This 18-hole course designed by Tom Fazio and spanning over 300 acres is not to be missed if you’re looking for a great place to play golf while taking in beautiful scenery. The course itself is surrounded by ancient cacti and lush palm trees carving its way through deep arroyos and resting atop a cool plateau. For those who are looking to get away from all the tourists and crowds, this is the place for you. Although the course is beautiful, it is demanding, providing guests with a challenge. 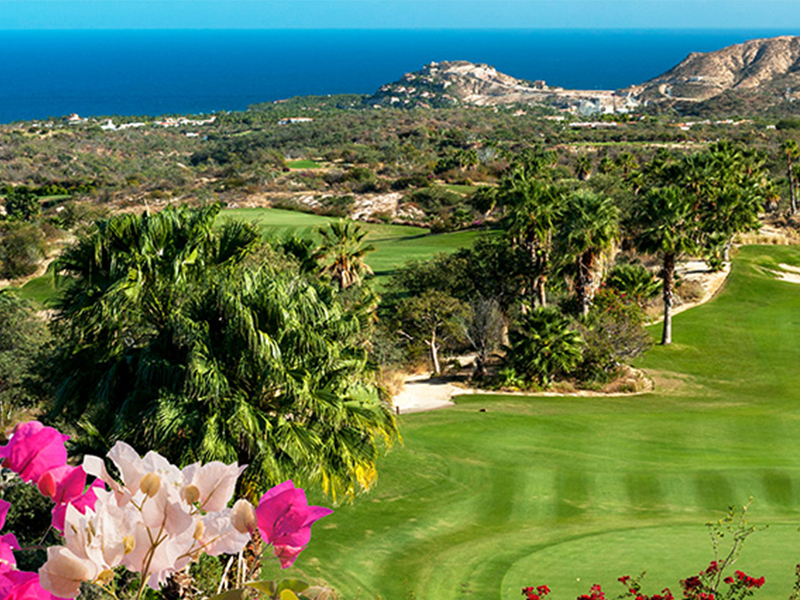 ​With lush fairways, swaying palm trees, stunning ocean views and massive cactus plants, how can one not fall in love instantly with the Cabo Real Golf Course? The course designed by Robert Trent Jones II is 7,037 yards and starts off with a challenge through the desert. The back nine ease up a bit and guests can enjoy spectacular ocean views. If you’re lucky enough to visit during whale season, some are lucky enough to catch glimpses of breaching whales as well. Nature and sport all in one? Hard to miss that kind of opportunity.